One of the greatest highlights from my trip to the Guardians of the Galaxy 2 set was being able to sit back and watch James Gunn actually direct a live scene in action. Unfortunately, I can’t tell you much about what happened in that moment, but it involved almost every one of the major players and it gave me quite a laugh. I stayed behind the imaginary dotted line and remained as quiet as I possibly could in an attempt to remain unnoticed. Fly on the wall status. I felt that one interruption could end my dream in an instant. So, with shallow breaths and wide eyes, I watched James in do his thing… without blinking. As you know, I am a behind the scenes kinda girl. I like to see the secret ingredients in the sauce before I dip my bread. Wow me. Make no mistake. I want to be swept off my feet. But then tell me how you did it because that part is super cool too! Maybe even cooler. Don’t worry – one day it will happen. I’m not sure how yet, but my soul is telling me it’s possible. SO THERE! After watching the taping, we actually had a chance to chat with the director. WHAT?! Disney does not disappoint with these blogger trips. 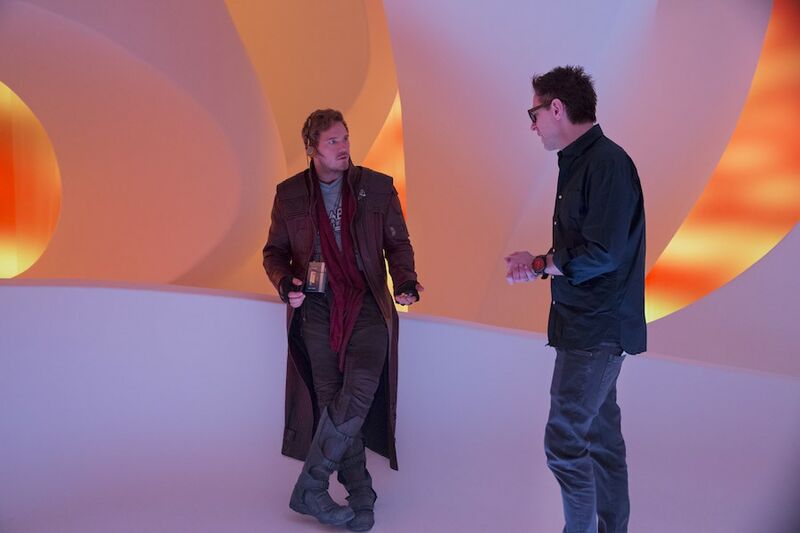 Here’s a look at what James Gunn had to say about his time gearing up for Guardians of the Galaxy 2. When did you come up with the sequel idea? 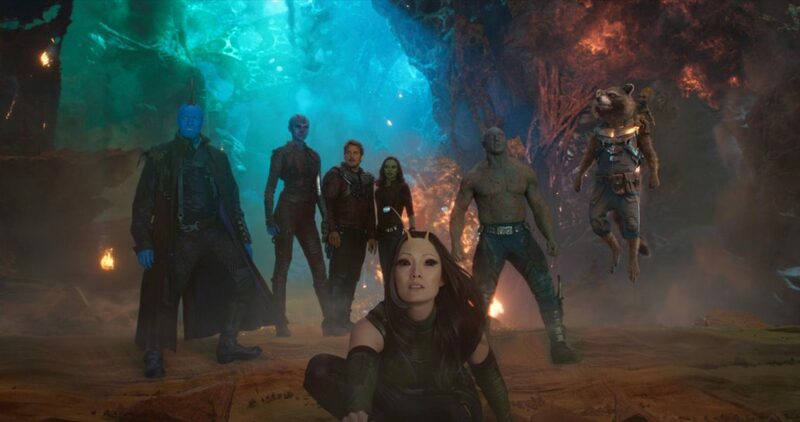 A lot of the sequel ideas about Quill’s relationship to his two fathers, basically Yondu and Kurt – the character Kurt Russell plays – got tossed around. The mythology of all of that was something that was written before the first movie was written. I knew basically where he was going. Basically who his father was. Basically what Yondu’s relationship was to his father. So a lot of mythology came then. The story started to ferment like during the first movie. I was always taking notes and thinking about it. And I knew this was a story. I wasn’t sure if it should be the sequel. I wasn’t sure if it should be like a third movie in a trilogy. And then when it came time to actually write the screenplay, I’m like, let’s just go for broke and do that story that I had in my head, which was this one. Which I really started actually physically writing the treatment on the first day the movie came out. Why is music such an important character in this story? I think that music is really the character of Peter Quill’s mom. So that’s his relationship with his mother – through the music. Music’s an important thing in my own life. It keeps that relationship alive. And that relationship is very much kept alive in this second movie. His relationship with his mother as well as his relationship with his father and what that is exactly. And that’s told through music. Is Rocket still your favorite character? He’s still my favorite. You know, Baby Groot is pretty awesome. And there’s- there’s times when we’re shooting and it’s nothing. It’s like, you know, either a little stick, or I’m like describing it and then afterwards, the guys are like, Oh, dang! 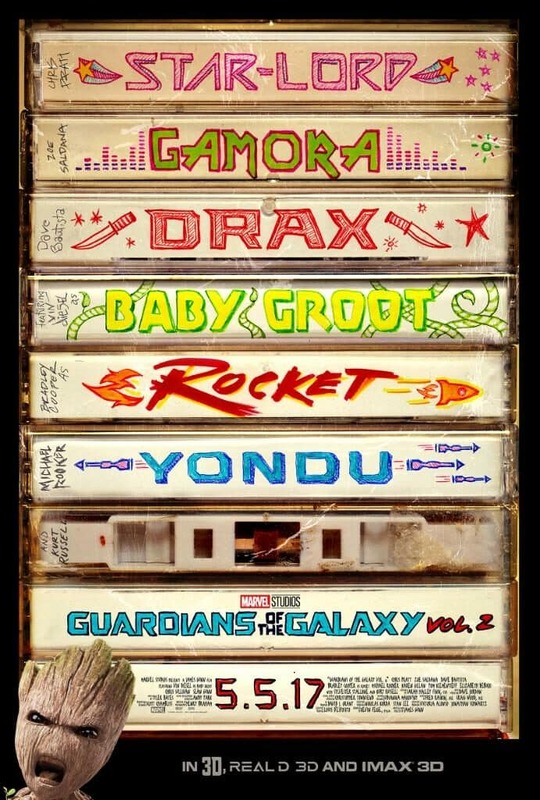 The stick guy- Baby Groot – is gonna steal the whole movie… and he’s not even there. I can tell you on the first movie, we were barely aware of Groot. He wasn’t that present on set. I mean my brother, Sean, played Rocket. So he was always there and everybody knew Rocket as a real character. 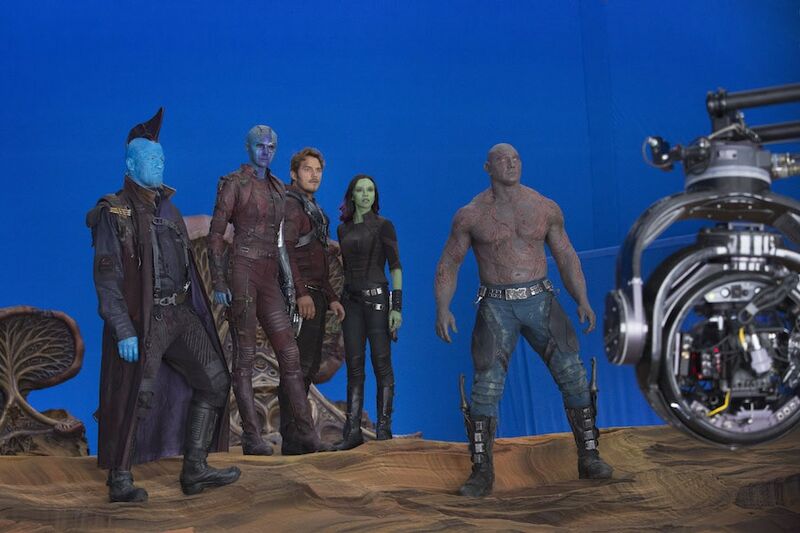 But Groot wasn’t there, and then we kind of start putting the movie together and creating Groot in post, and it was like, oh wow, the character really fills out once we started to create him. But Rocket’s the one. I just relate so deeply to Rocket. The first story was about becoming a family, and this one’s about being a family. And so it makes a big difference. It’s really about Rocket. You get that first flush of accepting friendship and love which he had in the first movie. And this movie is about being able to continue some form of intimacy, which is much, much harder for him to accept that because of where he came from. Will we see more of Chris as a child – or Peter as a child? Well I will say that, you know, whether or not we see, you know, characters in flashbacks or as children, a lot of the movie is about their childhoods and where it has brought them. We learn a lot about these characters and where they originated and why they have both the weaknesses and strengths that they have. *Disney invited me to visit the set of Guardians of the Galaxy 2 to interview the cast. All opinion are my own.